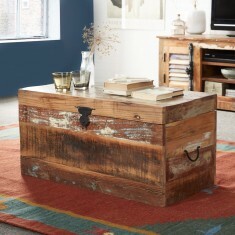 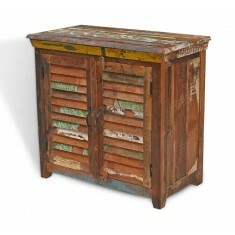 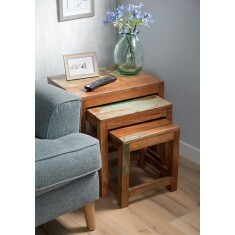 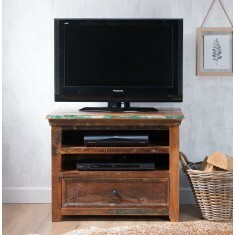 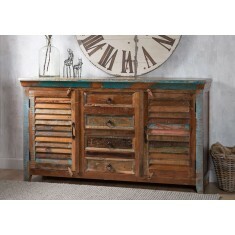 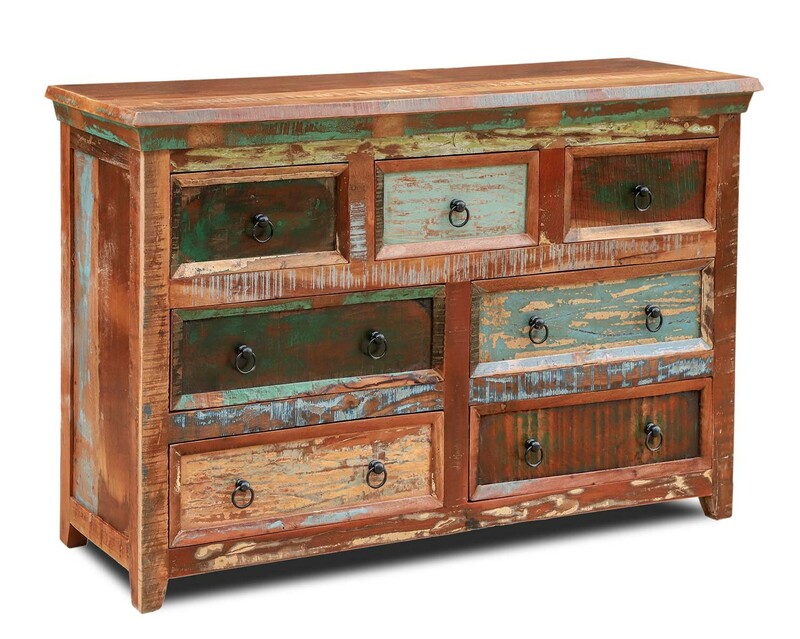 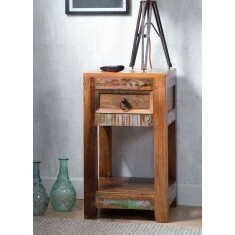 Boasting a large amount of storage space, the reclaimed large chest of drawers is a statement piece for any room. 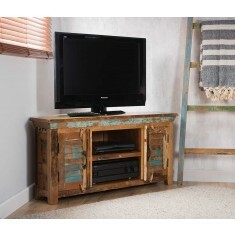 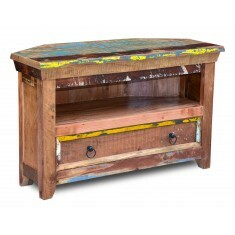 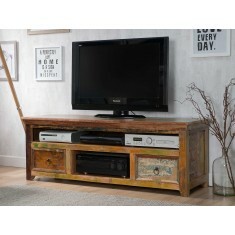 Made entirely from solid, reclaimed wood, this is a heavy, chunky item. 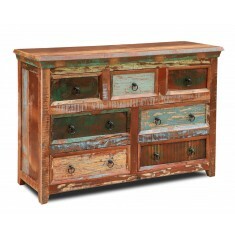 Finished with solid iron drop handles. 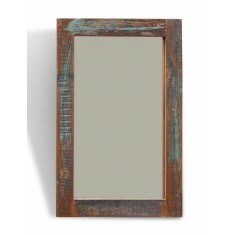 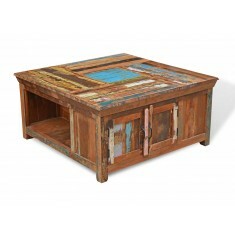 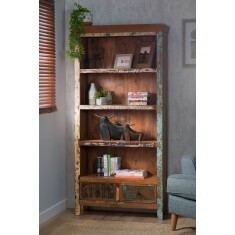 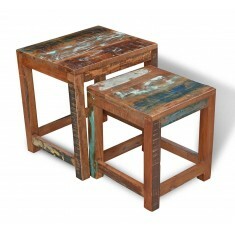 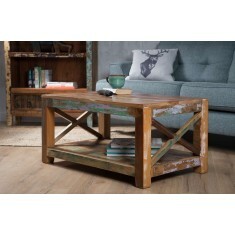 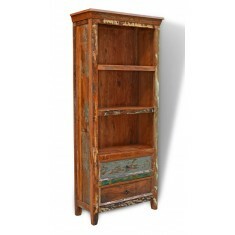 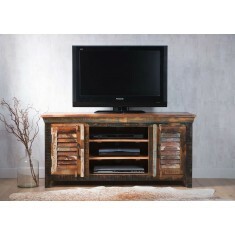 Each item from the Reclaimed collection is made entirely from solid, reclaimed wood. 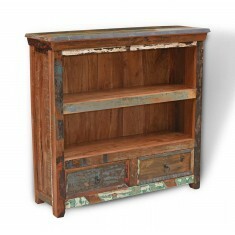 The old natural and painted timbers are left in their original state, sanded smooth and carefully selected from use in each furniture item. 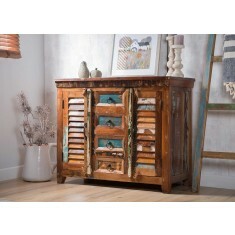 Ornate handles are used where applicable, and no two items are the same, making this a truly unique collection.